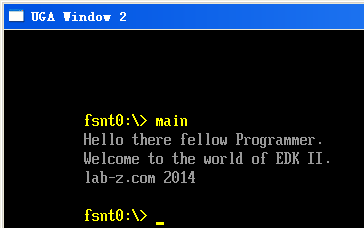 If you want to use C library in your program such as: printf, scanf....... You should use EADK library in EDK2. 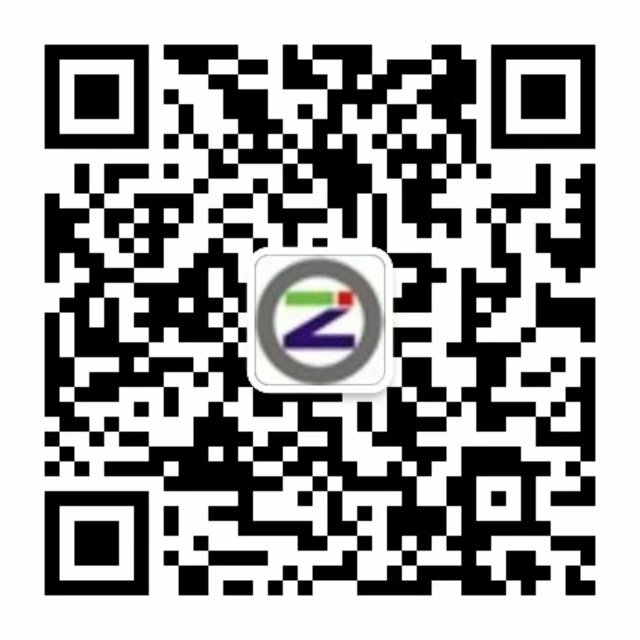 1.Decompress EADK_A2_Release. There are 3 directories. 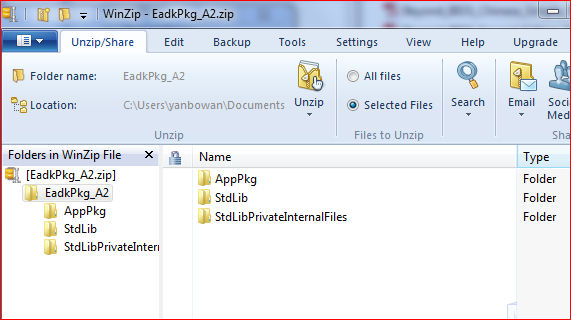 Put them to your EDK2 source directory. In fact you should make sure your EDK2 can build and run NT32 well. 2.Run edksetup.bat in your EDK directory. ## Comment out the above line and un-comment the line below for running under Nt32 emulation. 6.The solution is simple. Use the Notepad to open the time.h and save again. 7.At last all the demos can be build. You can get main.efi hello.efi and Enquire.efi. They can be run in NT32 emulation environment. 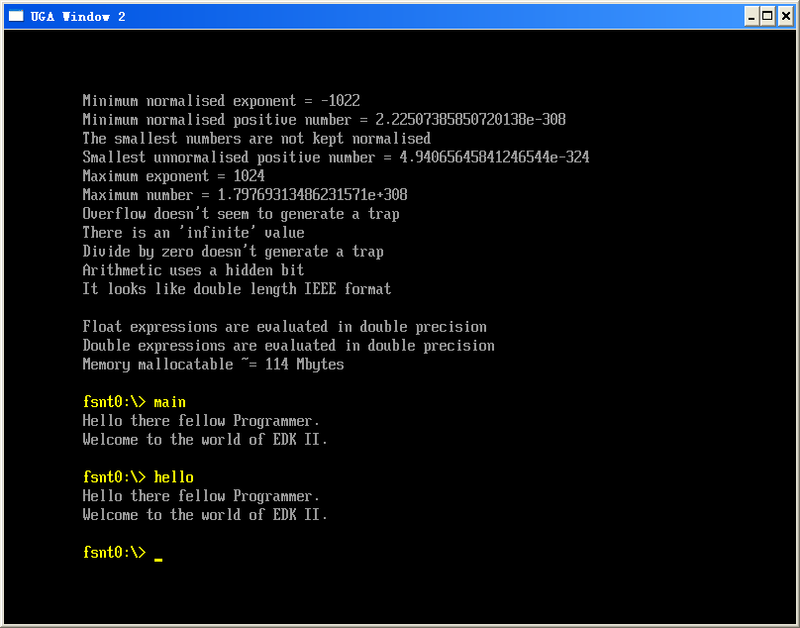 8.You can use printf in your program now. Ex. Since UDK2015 is already release. 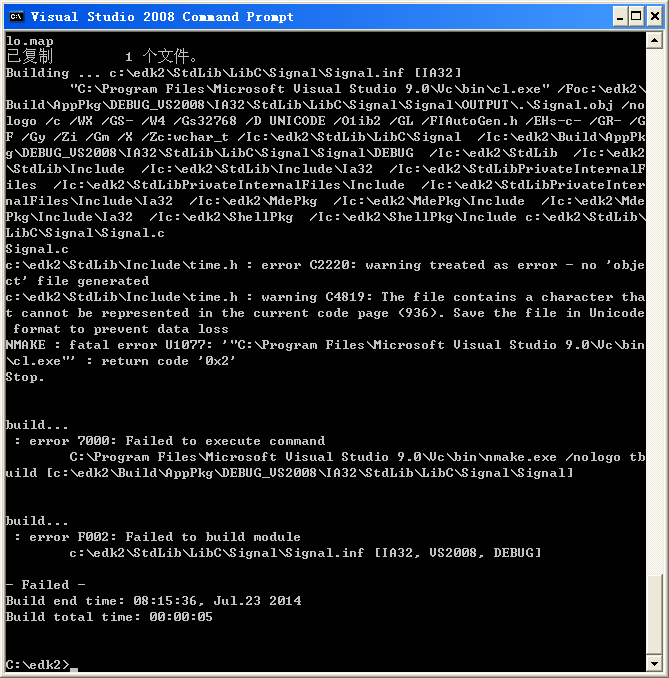 so removed the UDK2010 and added UDK2015 packaged to EADK compiler environment. Since UDK2017 is already resale. 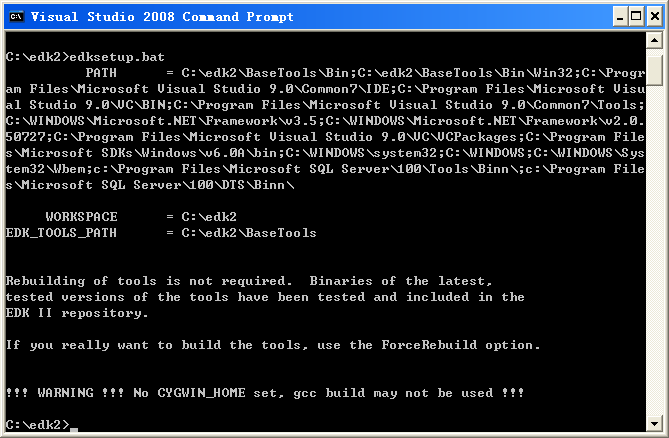 please refer to below link to setup compiler environment. Thanks!